BACKGROUND: Diabetes is a deadly and costly disease. The number of adults in the United States with newly diagnosed diabetes has nearly tripled from 1980 to 2011. At the current pace, 1 in 3 US adults will have diabetes in their lifetime. Currently, 14 classes of drugs are available to treat type 2 diabetes mellitus, but only 36% of patients with type 2 diabetes achieve glycemic control with the currently available therapies. Therefore, new treatment options are desperately needed. DISCUSSION: Despite the availability of many pharmacotherapies, in 2011 an estimated 3.1 million (14.9%) patients with type 2 diabetes still reported not taking medications to treat their diabetes. Patient compliance is a major obstacle facing practicing clinicians on a daily basis. New treatment options are desperately needed, but efficacy and tolerability are no longer the only criteria contributing to the success of a drug. Ease of administration, convenient dosing frequency, being weight control friendly, and having a low risk for hypoglycemia are important factors for the survival of a new drug in the US healthcare system. The present review is focused on important new drugs and drug classes in the pipeline, as well as on recently approved drugs, including sodium glucose cotransporter-2 inhibitors, glucagon-like peptide-1 agents, and new insulin therapies, as well as on the technologic improvements in the delivery and dosing frequency of some of the currently available drugs. CONCLUSIONS: In the United States, diabetes can be expected to continue to wreak significant human and financial tolls. The associated complications will continue to climb if they are not controlled and stopped. New therapies for diabetes are clearly needed that will better address these unmet needs. The common threads among the emerging therapies are their convenience of administration and dosing frequency, which are important to the improvement of patient adherence. The numerous comorbidities associated with diabetes include, but are not limited to, kidney failure, obesity, coronary artery disease, peripheral vascular disease, hypertension, stroke, and amputations.1 In the years 2003-2006, cardiovascular (CV) disease mortality rates were approximately 1.7 times higher among adults aged ≥18 years with diagnosed diabetes than among adults without diagnosed diabetes.1 In 2010, after adjusting for population age differences, hospitalization rates for heart attack and stroke were 1.8 times and 1.5 times higher, respectively, among adults aged ≥20 years with diagnosed diabetes than among adults without diagnosed diabetes.1 The estimated total cost for type 2 diabetes mellitus was $245 billion in 2012, of which $176 billion was in direct medical expenditures.1 With these trends, the cost and debilitating effects of this disease are only going to escalate, unless better glycemic control is achieved. As many as 14 classes of drugs are currently available for the treatment of type 2 diabetes mellitus.8 Despite the availability of pharmacotherapies, an estimated 3.1 million (14.9%) US adults with type 2 diabetes were still not taking a medication for diabetes in 2011.9 According to the 1999-2000 National Health and Nutrition Examination Survey, only approximately 36% of patients with type 2 diabetes achieve glycemic control—defined as a hemoglobin (Hb)A1c level of <7%—with the currently available therapies.10 New medications with different mechanisms of action or with novel approaches to therapy are needed to improve patient outcomes and to reduce the clinical burden of this condition. 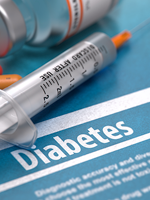 The current article reviews some of the newly approved therapies by the US Food and Drug Administration (FDA), as well as those that are currently being tested as new options for the treatment of type 2 diabetes mellitus. Most drugs in this review have voucher and coupon programs provided by the manufacturer to offset the cost of the medications (Table). The risks and benefits of each drug discussed in this article should be weighed appropriately when a drug regimen is chosen for a particular patient with diabetes. In addition, because many of these drugs have only recently become available in the United States, long-term evidence from real-world utilization is lacking. Furthermore, the FDA has requested postmarketing studies for some of these new agents, to investigate the potential risks for patients with diabetes to ensure that these new classes of drugs are safe for long-term use in this patient population. The first SGLT-2 inhibitor to be approved by the FDA was canagliflozin (Invokana), which received FDA approval in March 2013. Canagliflozin is indicated as an adjunct to diet and exercise for the improvement of glycemic control in adult patients with type 2 diabetes mellitus.13 Supplied as tablets for oral administration, the recommended starting dose of canagliflozin is 100 mg once daily, taken before the first meal of the day. In patients tolerating canagliflozin 100 mg once daily and who have an estimated glomerular filtration rate (eGFR) of ≥60 mL/min/1.73 m2 and require additional glycemic control, the dose can be increased to 300 mg once daily. Clinical results. In a randomized, double-blind, placebo-controlled study over 26 weeks, 584 patients were randomized to canagliflozin 100 mg, canagliflozin 300 mg, or placebo, administered once daily.14 At week 26, there was a significant reduction of HbA1c from baseline with canagliflozin 100 mg and 300 mg compared with placebo (−0.77%, −1.03%, and +0.14%, respectively; P <.001).14 In addition, both doses of canagliflo­zin significantly reduced fasting plasma glucose (FPG), 2-hour postprandial glucose, body weight, and systolic blood pressure. Considering its site of action at the renal SGLT-2 transporters, canagliflozin is not expected to be effective in patients with severe renal impairment (estimated glomerular filtration rate [eGFR] <30 mL/min/1.73 m2), those with end-stage renal disease, or those who are undergoing dialysis, even though studies have not been conducted on these patient populations. Finally, among the ongoing postmarketing studies required by the FDA for these agents is the phase 3 clinical trial Canagliflozin Cardiovascular Assessment Study (CANVAS) that is set to compare canagliflozin with placebo regarding CV events, including CV-related death, myocardial infarction, and stroke.17 A total of 4330 patients with type 2 diabetes whose diabetes was not well-controlled at the beginning of the study and who had a history of, or were at a high risk for, CV events were enrolled; they will be followed up for up to 9 years. Clinical results. One major study assessing the safety and efficacy of dapagliflozin monotherapy was a 24-week, parallel-group, double-blind, placebo-controlled phase 3 trial involving 558 patients with type 2 diabetes.19 Patients were divided into 2 groups based on their HbA1c levels: 485 patients were in the main cohort with an HbA1c of 7% to 10%, and 73 patients were in the group with an HbA1c of 10.1% to 12%. The patients with an HbA1c of 7% to 10% were randomly assigned to 1 of 7 arms to receive placebo or 2.5-mg, 5-mg, or 10-mg dap­agliflozin once daily in the morning (main cohort) or evening (exploratory cohort). The patients with an HbA1c of 10.1% to 12% (the high-HbA1c exploratory cohort) were randomly assigned to receive placebo or 5-mg or 10-mg dapagliflozin once daily in the morning. In another randomized, double-blind, active-­controlled, multicenter 52-week trial, dapagliflozin was compared with glipizide as an add-on therapy in diabetic patients who had inadequate glycemic control with metformin.20 Sulfonylureas are known to cause hypoglycemia and weight gain, and to have poor glycemic durability, although they are initially effective. 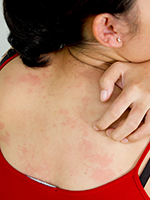 The study aimed to assess whether dapagliflozin causes fewer of these adverse events. Similar to canagliflozin, dapagliflozin should not be used in patients with moderate or severe renal impairment, patients with end-stage renal disease, or patients on dialysis. Dapagliflozin can also cause dehydration, leading to hypotension, dizziness, fainting, and a decline in renal function. The efficacy and safety of empagliflozin in patients with type 2 diabetes have been studied in conjunction with metformin in a 12-week, double-blind, placebo-controlled trial that compared the results with those of placebo and open-label sitagliptin 100 mg daily.25 Empagliflozin’s dosing was 1 mg, 5 mg, 10 mg, 25 mg, and 50 mg daily. The trial demonstrated a significant reduction of HbA1c with empagliflozin (–0.09 to –0.56%) compared with placebo (+0.15%). Furthermore, empagliflozin in conjunction with metformin had significant reductions of blood glucose levels (–2 to –28 mg/dL) compared with placebo (+5 mg/dL; P <.001), as well as significant benefits of body-weight reductions (–2.3 to –2.9 kg) compared with placebo (–1.2 kg; P <.01). Empagliflozin had similar overall adverse event rates (29.6%-48.6%) compared with placebo (36.6%) and sitagliptin (35.2%). Empagliflozin had more urinary tract infections than placebo (4% vs 2.8%, respectively) and greater increase in urination (2.5% vs 1.4%, respectively). Genital infections were only reported with empagliflozin, at a rate of 4.0%. Ipragliflozin (Suglat) is an SGLT-2 inhibitor that gained regulatory approval in Japan in January 2014 for the treatment of patients with type 2 diabetes, but is not yet approved by the FDA. It is the first SGLT-2 inhibitor on the Japanese market, and is currently available only in Japan.29 Ipragliflozin is available in doses of 25-mg and 50-mg tablets, taken daily, and the dosing can be increased to 100 mg daily if lower doses are inefficient. Ipragliflozin has been studied in 6 phase 3 clinical trials in Japan and has demonstrated significant reductions in HbA1c, decreases in FPG, and decreases in total body weight without many adverse events. All the clinical trials were conducted in Japan, because the manufacturer decided to focus on the Asian market for ipragliflozin.29 Because ipragliflozin is still not available in the United States, and for lack of space, details of the trials are not included in this review. Incretins are hormones that are secreted by cells in the small intestine during an oral nutrient load. Glucagon-like peptide-1 (GLP-1) is an incretin that has potent antihyperglycemic effects. In the presence of hyperglycemia, GLP-1 causes the release of insulin from the pancreas, shuts down glucagon secretion, slows down gastric emptying, and acts on the hypothalamus to increase satiety.31 Currently, 4 GLP-1 agents are approved by the FDA—exenatide (which also has an extended­release version), albiglutide, dulaglutide, and liraglutide. 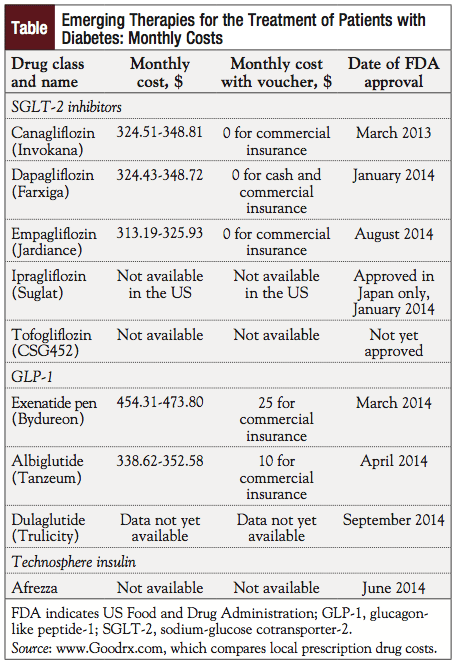 The first 3 of these GLP-1 drugs recently had significant marketing changes. The new exenatide extended-release for injectable suspension pen (Bydureon) that was approved by the FDA for the treatment of type 2 diabetes on March 3, 2014, is a prefilled, single-use, once-weekly pen injector.32 The pen contains the same formulation and dose of exenatide as the original, single-dose tray that was approved by the FDA in 2012. It provides the same continuous supply of the drug as the original formulation, but the new pen is designed to be more user-friendly. Patients attach the needle, twist the base of the pen to mix the drug, then tap the pen firmly against the palm of their hand for 80 times or more, while rotating the pen until the solution is completely mixed.32 This new process is a significant improvement from the manual mixing of the drug in the 2012 version. Each weekly dose in the pen is made up of microspheres that house exenatide and slowly dissolve over the span of a week. It requires no titration and can be administered at any time of the day, with or without meals. The exenatide extended-release pen improves glycemic control by reducing fasting and postprandial glucose concentrations in patients with type 2 diabetes. The original single-dose tray version of Bydureon has been shown to provide powerful HbA1c reduction and weight loss.33 The exenatide extended-release pen aims to provide an easier method of delivery for patients. Clinical results. The clinical efficacy of albiglutide is demonstrated in a series of phase 3 trials named the HARMONY series. HARMONY 2 demonstrated the efficacy of albiglutide as monotherapy in a 52-week, randomized, double­blind, placebo-controlled multicenter trial.35 Patients were randomized to 3 different groups, including (1) placebo, (2) albiglutide 30 mg weekly, and (3) albiglutide 30 mg weekly titrated to 50 mg weekly at week 12. The mean patients’ age was 53 years, 55% of patients were men, the mean duration of diabetes was 4 years, and the mean baseline eGFR was 84 mL/min/1.73 m2. All 3 groups had approximately 100 patients, with a baseline HbA1c of approximately 8%. In AWARD-6, a head-to-head, phase 3, randomized, noninferiority trial of dulaglutide versus liraglutide in patients with uncontrolled type 2 diabetes receiving metformin, the least-squares mean reduction in HbA1c was –1.42% in the dulaglutide group and –1.36% in the liraglutide group.44 The mean treatment difference in HbA1c was –0.06% between the groups, which met the noninferiority criteria of the trial (margin, 0.4%).44 To our knowledge, this is the first time a once-weekly GLP-1 agent has achieved a noninferiority status versus a once-daily GLP-1 drug in a phase 3 clinical trial. Technosphere insulin human (Afrezza) is a recombinant regular human insulin inhalation powder approved by the FDA in June 2014 for the treatment of type 1 and type 2 diabetes mellitus. When the insulin is inhaled through the device, the powder is aerosolized and delivered to the lung. Afrezza should be administered at each mealtime and is touted as an alternative to injectable short-acting insulin. A total of 334 patients receiving inhaled insulin with a basal insulin dose of glargine were compared with 343 patients receiving biaspart insulin given twice daily in patients with type 2 diabetes mellitus.48 The randomized, multicenter, noninferiority trial compared the treatments and their changes in HbA1c from baseline to the end of the 52-week trial. At the end of 52 weeks, the change in HbA1c with inhaled insulin plus insulin glargine was –0.68% and was similar and noninferior to that with biaspart insulin (–0.76%). The between-group difference was 0.07% (the noninferiority margin was 0.4%). Many patients with diabetes have concurrent nephropathy. In patients with chronic kidney disease, sevelamer is used in the management of hyperphosphatemia. In a single-center, randomized, crossover, open-label, intention-to-treat study, sevelamer was shown to lower HbA1c, total cholesterol, and triglycerides compared with calcium carbonate (P <.05).55 The mechanism behind sevelamer’s effect on HbA1c is unknown. Sevelamer is also a bile sequestrant in addition to being a phosphate binder. Thus, sevelamer’s effect on HbA1c is possibly related to its bile acid–binding ability. The problem of diabetes in the United States will continue to wreak heavy human and financial tolls. The complications stemming from diabetes will continue to climb if they are not stemmed. 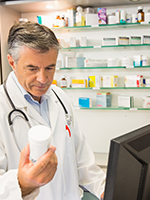 The most common obstacle a physician faces in clinical practice is patient adherence. Aside from efficacy and safety, the common themes seen with these new and emerging drugs are the convenience of administration and the convenient dosing frequency. All the oral drugs discussed in this review article are once-daily medications, with the exception of ranolazine. All new injections for diabetes are coming out in a pen format to improve patient adherence. A new inhaled insulin was found to work more quickly than the injectable version of the drug, and it has shown to be as effective as other short-acting subcutaneous insulin agents. Perhaps the most exciting aspects of these novel developments in diabetes management are that the new agents are either weight-friendly or can induce weight loss, or they have lower risks for hypoglycemia. At a mean total cost of $17,564 per hypoglycemic episode requiring hospitalization,3 this is a meaningful improvement to the healthcare system as a whole. Weight gain in patients with diabetes is counterproductive, because substances related to insulin resistance are upregulated in obese patients. Weight loss promotes HbA1c reduction, with a loss of 10% body weight potentially reducing HbA1c by 0.81%.58 This, in turn, improves insulin sensitivity potentiating other therapies. Postmarketing data are continuing to be collected for these drugs to address safety concerns. No macrovascular outcomes data are currently available for the antidiabetes drugs that are mentioned in this review, although each drug will have to conduct a dedicated CV safety trial to meet the 2008 updated FDA guidance recommendations. The risks and benefits of each drug should be appropriately weighed when a diabetes regimen is chosen for a particular patient. Dr Miller, Dr H. Nguyen, Dr Hu, and Dr Lin reported no conflicts of interest. Dr Q.T. Nguyen is on the Speaker’s Bureau for AstraZeneca. Dr Miller is Resident, Department of Internal Medicine, Valley Hospital Medical Center, Las Vegas, NV; Dr H. Nguyen is Resident, Department of Internal Medicine, Valley Hospital Medical Center, Las Vegas, NV; Dr Hu is Resident, Department of Internal Medicine, Valley Hospital Medical Center, Las Vegas, NV; Dr Lin is Resident, Department of Internal Medicine, Valley Hospital Medical Center, Las Vegas, NV; Dr Q.T. Nguyen is Medical Director, Las Vegas Endocrinology, Clinical Associate Professor, Clinical Education, AZCOM, Adjunct Associate Professor of Endocrinology, Touro University Nevada. 1. Centers for Disease Control and Prevention. National diabetes statistics report: estimates of diabetes and its burden in the United States, 2014. 2014. www.cdc.gov/diabe tes/pubs/statsreport14/national-diabetes-report-web.pdf. Accessed October 3, 2014. 2. Centers for Disease Control and Prevention. Annual number (in thousands) of new cases of diagnosed diabetes among adults aged 18-79 years, United States, 1980-2011. Updated September 24, 2012. www.cdc.gov/diabetes/statistics/incidence/fig1.htm. Accessed September 22, 2014. 3. Quilliam BJ, Simeone JC, Ozbay AB, Kogut SJ. The incidence and costs of hypoglycemia in type 2 diabetes. Am J Manag Care. 2011;17:673-680.
attributable to obesity: payer- and service-specific estimates. Health Aff (Millwood). 2009;28:w822-w831. 5. Yu AP, Wu EQ, Birnbaum HG, et al. Short-term economic impact of body weight change among patients with type 2 diabetes treated with antidiabetic agents: analysis using claims, laboratory, and medical record data. Curr Med Res Opin. 2007;23:2157-2169. 6. Grandy S, Fox KM, Hardy E; for the SHIELD Study Group. Association of weight loss and medication adherence among adults with type 2 diabetes mellitus: SHIELD (Study to Help Improve Early Evaluation and Management of Risk Factors Leading to Diabetes). Curr Ther Res Clin Exp. 2013;75:77-82. 7. White TJ, Vanderplas A, Chang E, et al. The costs of non-adherence to oral antihyperglycemic medication in individuals with diabetes mellitus and concomitant diabetes mellitus and cardiovascular disease in a managed care environment. Dis Manag Health Outcomes. 2004;12:181-188. 8. American Diabetes Association. Standards of medical care in diabetes—2014. Diabetes Care. 2014;37(suppl 1):S14-S80. Erratum in: Diabetes Care. 2014;37:887. 9. Centers for Disease Control and Prevention. Number (in millions) of adults with diabetes by diabetes medication status, United States, 1997-2011. Updated December 7, 2012. www.cdc.gov/diabetes/statistics/meduse/fig1.htm. Accessed September 22, 2014. 10. Koro CE, Bowlin SJ, Bourgeois N, Fedder DO. Glycemic control from 1988 to 2000 among U.S. adults diagnosed with type 2 diabetes: a preliminary report. Diabetes Care. 2004;27:17-20. 11. Idris I, Donnelly R. Sodium–glucose co-transporter-2 inhibitors: an emerging new class of oral antidiabetic drug. Diabetes Obes Metab. 2009;11:79-88. 12. Ferrannini E, Solini A. SGLT2 inhibition in diabetes mellitus: rationale and clinical prospects. Nat Rev Endocrinol. 2012;8:495-502. Announcements/ucm345848.htm. Accessed October 30, 2014. 14. Stenlöf K, Cefalu WT, Kim K-A, et al. Efficacy and safety of canagliflozin monotherapy in subjects with type 2 diabetes mellitus inadequately controlled with diet and exercise. Diabetes Obes Metab. 2013;15:372-382. 15. Schernthaner G, Gross JL, Rosenstock J, et al. Canagliflozin compared with sitagliptin for patients with type 2 diabetes who do not have adequate glycemic control with metformin plus sulfonylurea: a 52-week randomized trial. Diabetes Care. 2013;36:2508-2515. Erratum in: Diabetes Care. 2013;36:4172. 16. Yale J-F, Bakris G, Cariou B, et al. Efficacy and safety of canagliflozin in subjects with type 2 diabetes and chronic kidney disease. Diabetes Obes Metab. 2013;15:463-473. 17. Neal B, Perkovic V, de Zeeuw D, et al; for the CANVAS Trial Collaborative Group. Rationale, design, and baseline characteristics of the Canagliflozin Cardiovascular Assessment Study (CANVAS)—a randomized placebo-controlled trial. Am Heart J. 2013;166:217-223.e11. 18. US Food and Drug Administration. FDA approves Farxiga to treat type 2 diabetes. Press release. January 8, 2014. www.fda.gov/NewsEvents/Newsroom/Press­ Announcements/ucm380829.htm. Accessed September 23, 2014. 19. Ferrannini E, Jimenez Ramos S, Salsali A, et al. Dapagliflozin monotherapy in type 2 diabetic patients with inadequate glycemic control by diet and exercise: a randomized, double-blind, placebo-controlled, phase 3 trial. Diabetes Care. 2010,33:2217-2224. 20. Nauck MA, Del Prato S, Meier JJ, et al. Dapagliflozin versus glipizide as add-on therapy in patients with type 2 diabetes who have inadequate glycemic control with metformin: a randomized, 52-week, double-blind, active-controlled noninferiority trial. Diabetes Care. 2011;34:2015-2022. 21. US Food and Drug Administration. FDA briefing document. NDA 202293. Dapagliflozin tablets, 5 and 10 mg. July 19, 2011. www.fda.gov/downloads/advisory committees/committeesmeetingmaterials/drugs/endocrinologicandmetabolicdrugs advisorycommittee/ucm262994.PDF. Accessed October 10, 2014. 22. US Food and Drug Administration. Background document. Dapagliflozin. NDA 202293. November 4, 2013. www.fda.gov/downloads/drugs/endocrinologicandmeta bolicdrugsadvisorycommittee/ucm378079.pdf. Accessed October 27, 2014. 24. Heise T, Seewaldt-Becker E, Macha S, et al. Safety, tolerability, pharmacokinetics and pharmacodynamics following 4 weeks’ treatment with empagliflozin once daily in patients with type 2 diabetes. Diabetes Obes Metab. 2013;15:613-621. 25. Rosenstock J, Seman LJ, Jelaska A, et al. Efficacy and safety of empagliflozin, a sodium glucose cotransporter 2 (SGLT2) inhibitor, as add-on to metformin in type 2 diabetes with mild hyperglycaemia. Diabetes Obes Metab. 2013;15:1154-1160. 26. Kovacs CS, Seshiah V, Swallow R, et al; for the EMPA-REG PIO trial investigators. Empagliflozin improves glycaemic and weight control as add-on therapy to pioglitazone or pioglitazone plus metformin in patients with type 2 diabetes: a 24-week, randomized, placebo-controlled trial. Diabetes Obes Metab. 2014;16:147-158. 27. Kadowaki T, Haneda M, Inagaki N, et al; for the EMPA-REG DOSEJAPAN trial investigators. Empagliflozin monotherapy in Japanese patients with type 2 diabetes mellitus: a randomized, 12-week, double-blind, placebo-controlled, phase II trial. Adv Ther. 2014;31:621-638. 28. Macha S, Lang B, Pinnetti S, Broedl UC. Pharmacokinetics of empagliflozin, a sodium glucose cotransporter 2 inhibitor, and simvastatin following co-administration in healthy volunteers. Int J Clin Pharmacol Ther. 2014;52:973-980. 29. Astellas Pharma. Approval of Suglat tablets, a selective SGLT2 inhibitor for treatment of type 2 diabetes, in Japan. Press release. January 17, 2014. www.astellas.com/en/corporate/news/detail/approval-of-suglat-tablets-a-s.html. Accessed September 28, 2014. 30. Suzuki M, Honda K, Fukazawa M, et al. Tofogliflozin, a potent and highly specific sodium/glucose cotransporter 2 inhibitor, improves glycemic control in diabetic rats and mice. J Pharmacol Exp Ther. 2012;341:692-701. 31. Holst JJ. Treatment of type 2 diabetes mellitus with agonists of the GLP-1 receptor or DPP-IV inhibitors. Expert Opin Emerg Drugs. 2004;9:155-166. 32. Bydureon (exenatide) pen [prescribing information]. Wilmington, DE: Astra Zeneca Pharmaceuticals; October 2014. 33. Blevins T, Pullman J, Malloy J, et al. DURATION-5: exenatide once weekly resulted in greater improvements in glycemic control compared with exenatide twice daily in patients with type 2 diabetes. J Clin Endocrinol Metab. 2011;96:1301-1310. 34. Tanzeum (albiglutide) for injection [prescribing information]. Wilmington, DE: GlaxoSmithKline; June 2014. 35. Rendell M, Scott R, Ye J, et al. Harmony 2 year 3 results: albiglutide monotherapy in drug naïve patients with T2DM. Poster presented at the American Diabetes Association’s 74th Scientific Sessions; June 13-17, 2014; San Francisco, CA. 36. Ahrén B, Johnson SL, Stewart M, et al; for the HARMONY 3 Study Group. HARMONY 3: 104-week randomized, double-blind, placebo- and active-controlled trial assessing the efficacy and safety of albiglutide compared with placebo, sitagliptin, and glimepiride in patients with type 2 diabetes taking metformin. Diabetes Care. 2014;37:2141-2148. 37. GlaxoSmithKline. GSK announces data from five phase III studies of albiglutide, an investigational once-weekly treatment for type 2 diabetes. Press release. June 24, 2013. http://us.gsk.com/en-us/media/press-releases/2013/gsk-announces-data-from-five-phase-iii-studies-of-albiglutide-an-investigational-once-weekly-treatment-­for-type-2-diabetes/. Accessed September 24, 2014. 38. Weissman PN, Carr MC, Ye J, et al. HARMONY 4: randomised clinical trial comparing once-weekly albiglutide and insulin glargine in patients with type 2 diabetes inadequately controlled with metformin with or without sulfonylurea. Diabetologia. 2014;57:2475-2484. 39. Rosenstock J, Fonseca VA, Gross JL, et al; for the Harmony 6 Study Group. Advancing basal insulin replacement in type 2 diabetes inadequately controlled with insulin glargine plus oral agents: a comparison of adding albiglutide, a weekly GLP-1 receptor agonist, versus thrice-daily prandial insulin lispro. Diabetes Care. 2014;37:2317-2325. 40. Reusch J, Stewart MW, Perkins CM, et al. Efficacy and safety of once-weekly glucagon-like peptide 1 receptor agonist albiglutide (HARMONY 1 trial): 52-week primary endpoint results from a randomized, double-blind, placebo-controlled trial in patients with type 2 diabetes mellitus not controlled on pioglitazone, with or without metformin. Diabetes Obes Metab. 2014;16:1257-1264. 41. Pratley RE, Nauck MA, Barnett AH, et al; for the HARMONY 7 study group. Once-weekly albiglutide versus once-daily liraglutide in patients with type 2 diabetes inadequately controlled on oral drugs (HARMONY 7): a randomised, open-label, multicentre, non-inferiority phase 3 study. Lancet Diabetes Endocrinol. 2014;2:289-297. Erratum in: Lancet Diabetes Endocrinol. 2014;2:e5. 42. Eli Lilly and Company. FDA approves Trulicity (dulaglutide), Lilly’s once-weekly therapy for adults with type 2 diabetes. Press release. September 18, 2014. https://investor.lilly.com/releasedetail.cfm?releaseid=871658. Accessed September 28, 2014. 43. US Food and Drug Administration. FDA approves Trulicity to treat type 2 diabetes. Press release. September 18, 2014. www.fda.gov/NewsEvents/Newsroom/Press Announcements/ucm415180.htm. Accessed September 28, 2014. 44. Dungan KM, Povedano ST, Forst T, et al. Once-weekly dulaglutide versus once-daily liraglutide in metformin-treated patients with type 2 diabetes (AWARD-6): a randomised, open-label, phase 3, non-inferiority trial. Lancet. 2014;384:1349-1357. Erratum in: Lancet. 2014;384:1348. 45. Umpierrez G, Tofé Povedano S, Pérez Manghi F, et al. Efficacy and safety of dulaglutide monotherapy versus metformin in type 2 diabetes in a randomized controlled trial (AWARD-3). Diabetes Care. 2014;37:2168-2176. 46. Rave K, Potocka E, Boss AH, et al. Pharmacokinetics and linear exposure of Afresa compared with the subcutaneous injection of regular human insulin. Diabetes Obes Metab. 2009;11:715-720. Erratum in: Diabetes Obes Metab. 2009;11:1175. 47. MannKind Corporation. Afrezza (insulin human [rDNA origin]) inhalation powder: an ultra-rapid acting insulin treatment to improve glycemic control in adult patients with diabetes mellitus. Briefing document. NDA 022472. April 1, 2014. www.fda.gov/downloads/AdvisoryCommittees/CommitteesMeetingMaterials/Drugs/EndocrinologicandMetabolicDrugsAdvisoryCommittee/UCM390865.pdf. Accessed September 29, 2014. 48. Rosenstock J, Lorber DL, Gnudi L, et al. Prandial inhaled insulin plus basal insulin glargine versus twice daily biaspart insulin for type 2 diabetes: a multicentre randomised trial. Lancet. 2010;375:2244-2253. 49. Santos Cavaiola T, Edelman S. Inhaled insulin: a breath of fresh air? A review of inhaled insulin. Clin Ther. 2014;36:1275-1289. 50. US Food and Drug Administration. FDA approves Afrezza to treat diabetes. Press release. June 27, 2014. www.fda.gov/NewsEvents/Newsroom/PressAnnouncements/ucm403122.htm. Accessed September 29, 2014. 52. Timmis AD, Chaitman BR, Crager M. Effects of ranolazine on exercise tolerance and HbA1c in patients with chronic angina and diabetes. Eur Heart J. 2006;27:42-48. 53. Chisholm JW, Goldfine AB, Dhalla AK, et al. Effect of ranolazine on A1C and glucose levels in hyperglycemic patients with non-ST elevation acute coronary syndrome. Diabetes Care. 2010;33:1163-1168. 54. Ning Y, Zhen W, Fu Z, et al. Ranolazine increases β-cell survival and improves glucose homeostasis in low-dose streptozotocin-induced diabetes in mice. J Pharmacol Exp Ther. 2011;337:50-58. 55. Vlassara H, Uribarri J, Cai W, et al. Effects of sevelamer on HbA1c, inflammation, and advanced glycation end products in diabetic kidney disease. Clin J Am Soc Nephrol. 2012;7:934-942. 56. Bays HE, Goldberg RB, Truitt KE, Jones MR. Colesevelam hydrochloride therapy in patients with type 2 diabetes mellitus treated with metformin: glucose and lipid effects. Arch Intern Med. 2008;168:1975-1983. 57. Brønden A, Hansen M, Sonne DP, et al. Sevelamer in a diabetologist’s perspective: a phosphate-binding resin with glucose-lowering potential. Diabetes Obes Metab. 2014 Jul 9 [Epub ahead of print]. 58. Shantha GP, Kumar AA, Kahan S, Cheskin LJ. Association between glycosylated hemoglobin and intentional weight loss in overweight and obese patients with type 2 diabetes mellitus: a retrospective cohort study. Diabetes Educ. 2012;38:417-426. PAYERS: The passage of the Accountable Care Act in 2010 is driving improved accountability for quality through the establishment of accountable care organizations (ACOs). ACOs provide incentives for healthcare providers to improve the quality of care delivered in physicians’ offices, hospitals, and long-term care settings. Concerns about the impact of diabetes on cost and quality of care are what drove the development and triple weighting of the Centers for Medicare & Medicaid Services 5-star quality rating measures for diabetes,1 which is a top priority for every health plan, ACO, hospital, and physician practice in the United States that serves patients with diabetes. Clinically meaningful improvements in outcomes will not be achieved, however, until patient adherence is improved. Adherence is a major problem in patients with type 2 diabetes. As Miller and colleagues point out, a 2011 study reported that 3.1 million (14.9%) patients with type 2 diabetes did not take their medications.3 Poor adherence is multifactorial and is impacted by education, income, location, complex drug regimens, medication side effects, and patient support systems. Access to a broad choice of medications can aid in improving adherence through individualized treatment regimens; however, individualizing the treatment regimen for a patient with type 2 diabetes is complex. The choice of medicines must take into account many variables and patient characteristics, such as comorbidities, susceptibility to cardiac events, concomitant medications, the patient’s ability or willingness to self-inject, the patient’s preference for mode of administration, and the physician’s experience. The number of medications available for the treatment of type 2 diabetes has substantially increased as a result of the pharmaceutical industry’s innovation and discovery of new medicines that offer improved efficacy that address tolerability and adverse effects of previously available agents, enabling physicians to individualize treatment in ways that they could not have in the past. Payers should seek input from experienced endocrinologists in their pharmacy benefit design to balance cost and quality in a manner that allows physicians broad access to medications that are aligned with national treatment guidelines and include patient shared decision-making to determine the optimal treatment regimen. Most important, engaging patients in their healthcare decisions may enhance adherence to therapy. It is critical for healthcare providers to discuss options with patients and to determine if patients will adhere to the treatments that are being prescribed for them. For example, if a patient prefers an oral medication to a self-injectable medicine and will refuse to fill a prescription or to use a self-injectable medication, this needs to be determined before the prescription is written and before the patient leaves the office. Primary nonadherence is defined as patients who do not fill their first prescription. This has been a long­standing problem in medicine, and it is getting more attention as data become more readily available through the use of electronic medical records and electronic prescribing, which can determine if prescriptions written by physicians are actually filled. Primary nonadherence can be reduced if a provider knows that a patient is unwilling to take a certain medication at the time of prescribing. If there are managed care restrictions on access to certain agents, the prior authorization follow-up should reflect this provider–patient discussion, as well as the patient’s unwillingness to take a preferred agent; this will assist the physician in gaining access to a nonpreferred agent to avoid the patient not receiving treatment, which could lead to poor patient outcomes and downstream cost implications to payers. PATIENTS: Ultimately, patients’ own lifestyles and preferences weigh into their personal decisions regarding what medications they will take. A core principle of evidence-based medicine is involving patients in decisions about their treatment, together with their physicians’ assessment of the best available evidence from the medical literature, their clinical experience, and the patients’ desires and behavioral inclinations.10 Patients have a responsibility to ask about available treatment options and to provide honest feedback to their healthcare providers regarding which treatment they are willing to adhere to. 1. Academy of Managed Care Pharmacy; American Pharmacy Association. Medicare star ratings: stakeholder proceedings on community pharmacy and managed care partnerships in quality. J Am Pharm Assoc (2003). 2014;54:228-240. 2. Miller BR, Nguyen H, Hu CJ, et al. New and emerging drugs and targets for type 2 diabetes: reviewing the evidence. Am Health Drug Benefits. 2014;7:451-462. 3. Centers for Disease Control and Prevention. Number (in millions) of adults with diabetes by diabetes medication status, United States, 1997-2011. Updated December 7, 2012. www.cdc.gov/diabetes/statistics/meduse/fig1.htm. Accessed September 22, 2014. 4. Weerarathna TP. Individualizing treatment of type 2 diabetes. Sri Lanka J Diabetes Endocrinol Metab. 2014;4:56-58. 5. Inzucchi SE, Bergenstal RM, Buse JB, et al. Management of hyperglycemia in type 2 diabetes: a patient-centered approach. Position statement of the American Diabetes Association (ADA) and the European Association for the Study of Diabetes (EASD). Diabetes Care. 2012;35:1364-1379. 6. Committee on Quality of Health Care in America, Institute of Medicine. Crossing the Quality Chasm: A New Health System for the 21st Century. Washington, DC: National Academy Press; 2001. 7. Mullan RJ, Montori VM, Shah ND, et al. The diabetes mellitus medication choice decision aid: a randomized trial. Arch Intern Med. 2009;169:1560-1568. 8. Tsapas A, Matthews DR. N of 1 trials in diabetes: making individual therapeutic decisions. Diabetologia. 2008;51:921-925. 9. Shah ND, Mullan RJ, Breslin M, et al. Translating comparative effectiveness into practice: the case of diabetes medications. Med Care. 2010;48(6 suppl):S153-S158. 10. Guyatt GH, Haynes RB, Jaeschke RZ, et al; for the Evidence-Based Medicine Working Group. Users’ Guides to the Medical Literature: XXV. Evidence-based medicine: principles for applying the Users’ Guides to patient care. JAMA. 2000;284:1290-1296.